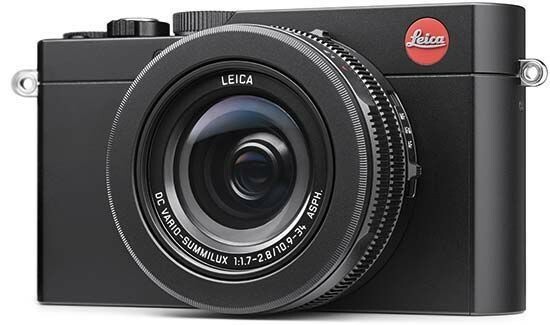 Lens Leica DC Vario-Summilux 10.9– 34 mm f/1.7–2.8/ASPH., 35 mm camera equivalent: 24 - 75 mm. 11 elements in 8 groups (5 aspherical lenses/8 aspherical surfaces/2 ED lenses). Optical image stabiliser OIS (Optical Image Stabilization). AF metering modes Face/eye detection, tracking, 49-area, 1-area (flexible/scalable), custom multi, pinpoint. Wide: 3 cm/1 3/16", Tele: 30 cm/1"–∞. Sensor 4/3-inch High sensitivity MOS sensor. Total pixel number: 16.8 megapixels (effective pixels:12.8 MP). Still image 4:3 format: 4112 × 3088 pixels (12.5 M) (L), 2976 × 2232 pixels (6.5 M) (M), 2048 × 1536 pixels (3 M) (S). 3:2 format: 4272 × 2856 pixels (12 M) (L), 3120 × 2080 pixels (6.5 M) (M), 2112 × 1408 pixels (3 M) (S). 16:9 format: 4480 × 2520 pixels (11 M) (L), 3840 × 2160 pixels (8 M) (M), 1920 × 1080 pixels (2 M) (S). 1:1 format: 3088 × 3088 pixels (10 M) (L), 2240 × 2240 pixels (5 M) (M), 1536 × 1536 pixels (2.5 M) (S). 3840 × 2160 pixels, 30 p (4K: 100 Mbps/MP4) (sensor output is 30fps) (AAC). 1920 × 1080 pixels, 60 p (FHD: 28 Mbps/MP4) (sensor output is 60 bps) (AAC). 1920 × 1080 pixels 30 p (FHD: 20 Mbps/MP4) (sensor output is 30 bps) (AAC). 1280 × 720 pixels, 30 p (HD: 10 Mbps/MP4) (sensor output is 30 bps) (AAC). 3840 × 2160 pixels, 25 p (4K: 100 Mbps/MP4) (sensor output is 25 bps) (AAC). 1920 × 1080 pixels, 50 p (FHD: 28 Mbps/MP4) (sensor output is 50 bps) (AAC). 1920 × 1080 pixels, 25 p (FHD: 20 Mbps/MP4) (sensor output is 25 bps) (AAC). 1280 × 720 pixels, 25 p (HD: 10 Mbps/MP4) (sensor output is 25 bps) (AAC). 640 × 480 pixels, 30 p (VGA: 4 Mbps/MP4) (sensor output is 30 bps) (AAC). 640 × 480 pixels, 25 p (VGA: 4 Mbps/MP4) (sensor output is 25 bps) (AAC). 1920 × 1080 pixels, 30 p (FHD: MP4) (sensor output is 120 bps). Video MP4. Recording time: max. 29:00 minutes. Exposure modes Snap shot (by snap shot button), P, A, S, M (by aperture ring and shutter speed dial). Exposure compensation Increments: 1/3 EV steps, setting range: ± 3 EV. Auto AE bracketing 3, 5, 7 frames in 1/3, 2/3 or 1 EV step, max. +/-3 EV. Standard,vivid, natural, monochrome, scenery, portrait, custom, panorama. soft focus, fantasy, star filter, one point color, sunshine. Metering modes Intelligent multiple, centre-weighted, spot. White balance Auto, daylight, cloudy, shade, incandescent, flash, 4 manual settings, color temperature (2-axis adjustable). ISO sensitivity Auto/i. ISO/100, 200, 400, 800, 1600, 3200, 6400, 12500, 25000* (*extended ISO). (Changeable to 1/3 EV step). Approx. 60 s – 1/4000 s (mechanical shutter), approx. 1 s- 1/16000 s (electronic Shutter). Approx. 1/30 s – 1/16000 s (NTSC model), approx. 1/25 s - 1/16000 s (PAL model), approx. 1/2 s - 1/16000 s.
slow sync./red-eye reduction, forced off. (*for snap shot mode only). Flash range 80 cm – 8.5 m (Wide/ISO Auto), 0.3 – 5.2 m (Tele/ISO Auto). Self-timer 2/10/10 s (3 images). Monitor 3.0"(7.5 cm) LC display (921K dots), AR coating, field of view: approx. 100 %, wide viewing-angle. magnification: approx. 1.39 x/0.7 x (35mm equiv. ), eye sensor. Memory cards SD memory card, SDHC memory card, SDXC memory card (compatible with UHS-I standard). Interfaces Digital: USB (AV/USB multi), cable macro-HDMI (Typ C), AV output. NFC: ISO/IEC 18092, NFC-F (passive mode). 0 – 40° C/10 – 80 %. Battery (included) Li-ion Battery Pack (7.2V, 1025 mAh, 7.4 Wh). 117.8 × 66.2 × 55 mm, (4.64 × 2.61 × 2.41 inch). Weight 365 g/405 g (without/with battery). Scope of delivery Digital camera, flash (Leica CF D), battery, battery charger, USB cable, neck strap, lens cap with string, hot shoe cover, instructions, CD with instructions, guarantee card. Software Adobe® Photoshop® Lightroom® (free license).